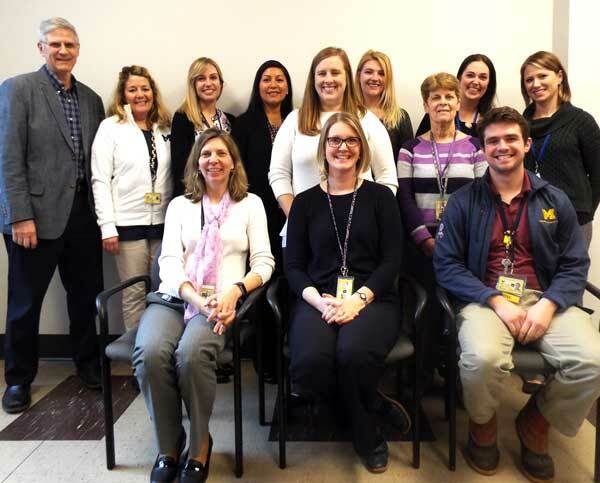 The University of Michigan Aphasia Program (UMAP) is an intensive speech-language therapy program that provides individuals battling aphasia with the tools they need to rebuild and improve their communication skills. We offer monthly sessions throughout the year, and the May session is coming up soon! When: The May session runs from April 29-May 23, 2019. Please see our Dates and Rates page for information on other session dates in 2019. Cost: Varies based on several factors. Call (734) 764-8440 for more information or to discuss financial assistance options. Individual therapy with certified Speech-Language Pathologists – we use a teamwork approach, so each client has a primary therapist, but also benefits from exposure to other SLPs. Group therapy sessions where clients can practice their communication skills and build confidence in a dynamic setting. Computer lab sessions where clients gain exposure to a variety of technology and continue to gain proficiency with their own personal devices. Music therapy where clients find their voices in new ways through singing and learning instruments. Recreational activities including outings to local sporting events, dinners at local restaurants, and more! UMAP offers treatment and support to our clients at all stages of their recovery journeys. Our certified Speech-Language Pathologists use a life participation approach and a variety of therapy modes to give each client an individualized program that works for them. We use a research-based curriculum that includes individual and group therapy, music therapy and computer and tech work. Each session lasts 3 to 4 weeks and includes 24-27 hours of therapy per week. Part time options and financial assistance are available.